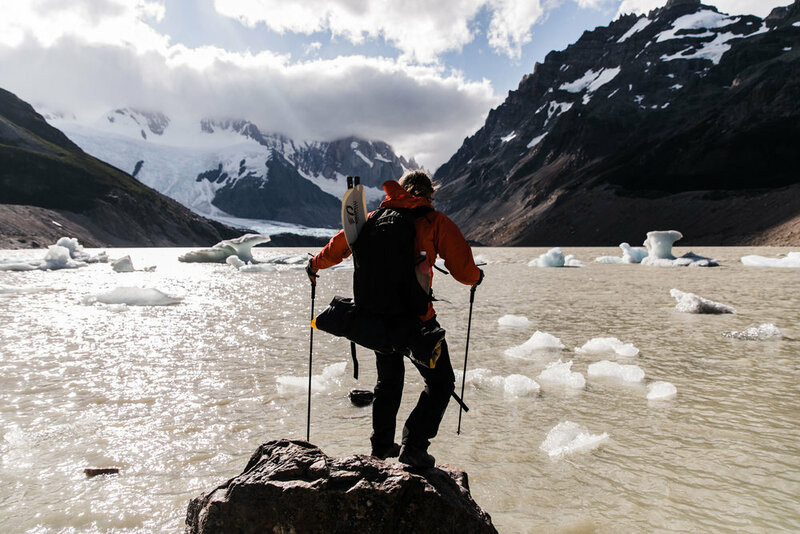 After our epic sunset mission at Lago de los Tres, we weren’t done with rad Patagonia lakes quite yet, so we set sails across the foothills of the Fitz Roy range in the direction of the infamous Cerro Torre! The hike between Lago de los Tres and Lago Torre is pretty easy and doesn’t require much change in elevation, so we highly reccomend putting the two together as either a long day-hike, or splitting it up like we did into three days! We camped the first night at Camp Poincinot and the second night at Campo de Augustini. Honestly, we chose to do this because we (and our buddies we were hiking with) are adventure photographers and wanted to prioritize nice lighting at both lakes! Camping near Lago Torre allowed us to get up there for sunset and sunrise, which was a total bonus! Plus, with two nights of camping we got to take it easy on the hike and enjoy the many scenic views. If you’re considering eloping in Patagonia, I’d highly reccomend doing this trek and allowing time for wedding portraits at both lakes! We arrived at camp early in the afternoon again, and this time decided to watch The Office together all packed in our tent until it was time to hike up to the lake for dinner and sunset. Once we came over the hill to the lake my heart immediately soared. It was full of little icebergs that had made their was across from the glacier on the far side. As we got closer to the shore, we could hear the most magical sound - hundreds of tiny pieces of ice clanking together as the waves came in. I wanted to stay there forever. 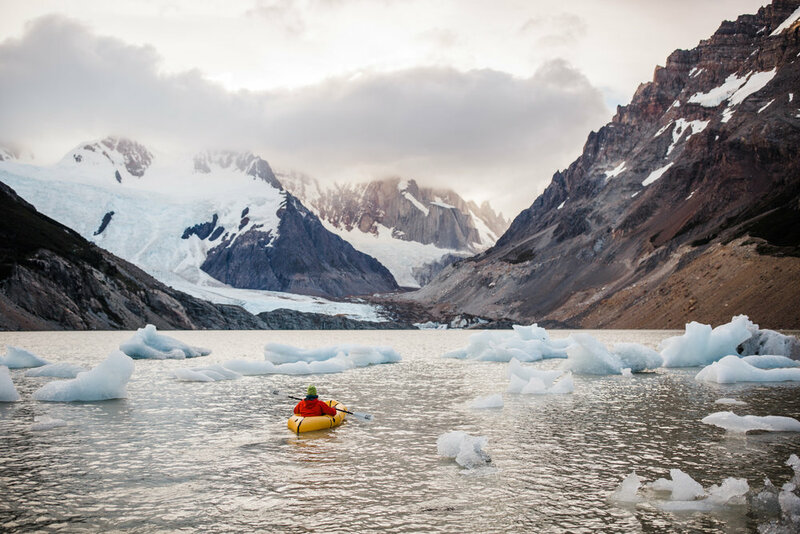 We made our dinners with melted ice berg bits and all took turns exploring the lagoon in the packraft. It was absolutely magical. The sunset was stunning, and while Cerro Torre remained hidden in clouds the entire time, we slowly got little glimpses of the bottoms of the epic towers. When we motivated to hike out there in the rainy, blue sunrise light the towers were still hidden, but the lake was so peaceful. I made iced coffee with a packet of Alpine Start and some iceberg bits, and I truly think it might be one of my favorite memories in my lifetime. I will not soon forget this gorgeous lake! If you're considering eloping somewhere epic, this lake near El Chalten, Patagonia would be seriously amazing! 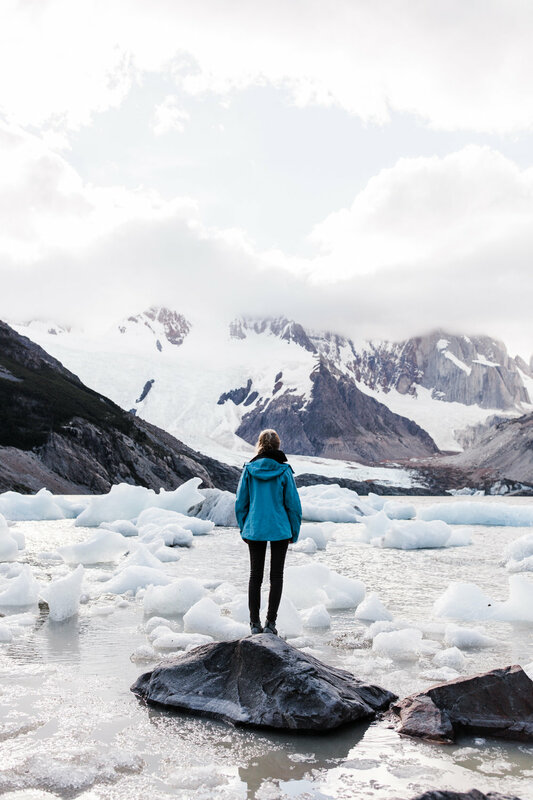 It's typically full of icebergs in January and has a crazy adventurous high-alpine feel, but is accessible as a day-hike or overnight backpacking hike, and has some of the best views of Cerro Torre! 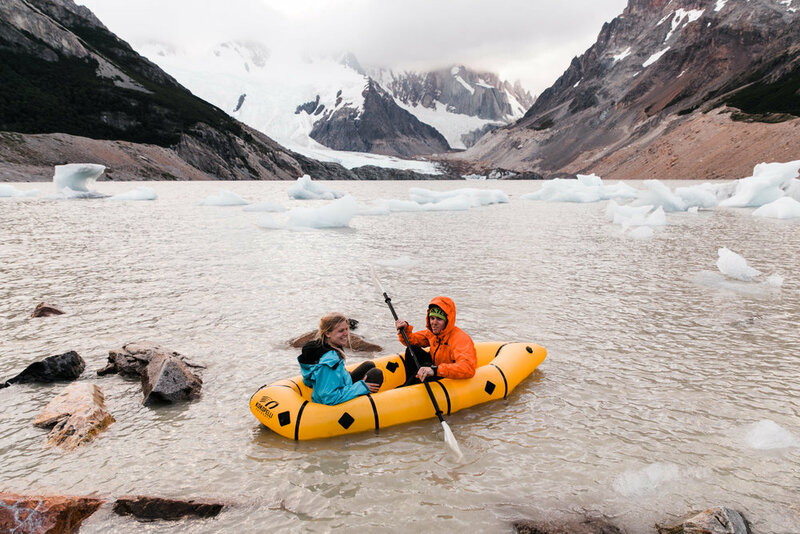 Contact us here is you'd like more info about eloping in Patagonia, we're available as early as January 2019 and can even help you plan your trip!